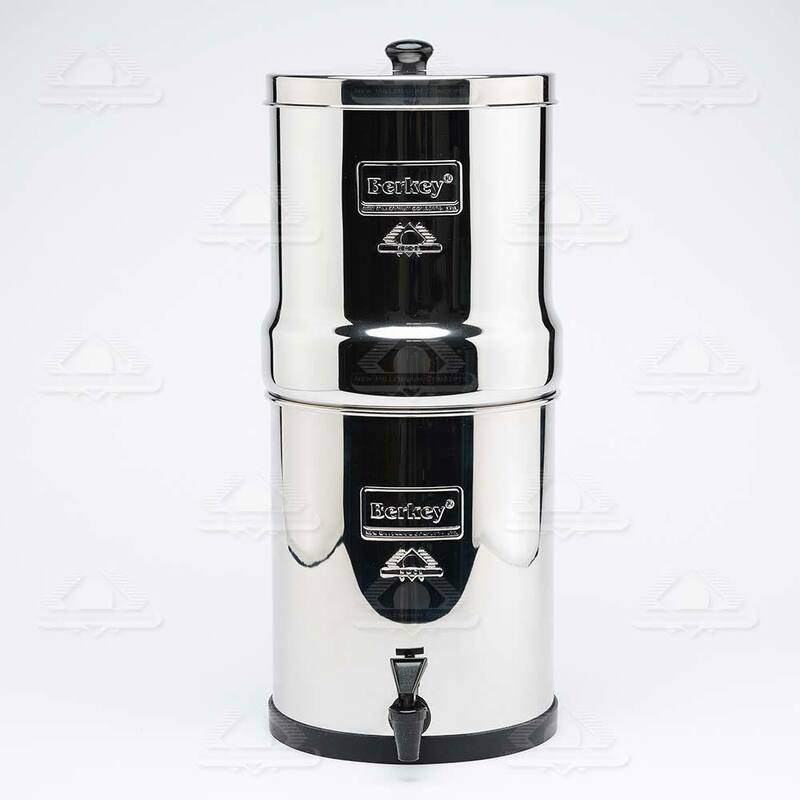 The versatile Big Berkey system is ideal for home use and medium sized families or during emergencies. 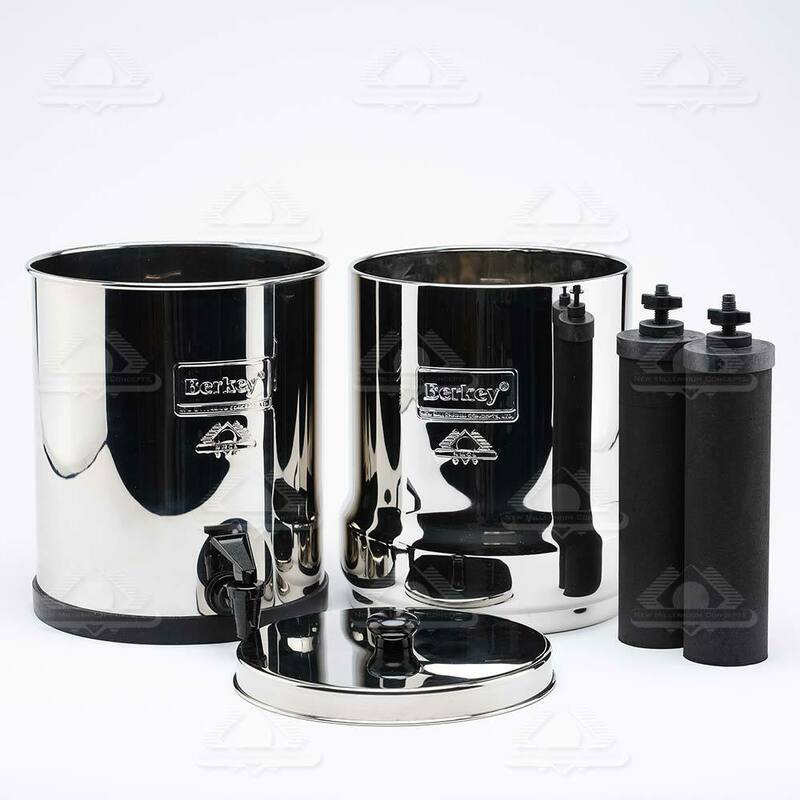 Includes 2 Black Berkey water filter elements and 2 hole plugs. Will hold up to 4 filters. 2.25 gallon lower chamber capacity. 8.5 inches in diameter, 21 inches tall (13 inches tall when nested for transport). With 2 filters it produces 4 gallons of filtered drinking water per hour. 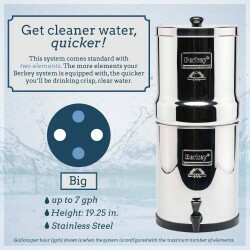 What if you are never required to rely on the Berkey's unique ability to draw water from contaminated, untreated sources of drinking water. Chances are you could go your whole life and avoid this situation. What if we could depend on others to ensure that the water you and your family drinks is free of harmful contaminants. What if all of the water you consumed was healthy and free from additives others thought were necessary for your well being. What if all water tasted great and was free of foul odors associated with chemicals like chlorine. Berkey water filter systems are so versatile that for pennies a day you will not have to worry about any of these water filtering problems. Simply pour water into the unit and minutes later you will be rewarded with purified drinking water. Each water filtering system comes with filters that will last a minimum of 6000 gallons. That means years of great tasting, chemical free purified drinking water without ever having the expense of replacing the filter elements. 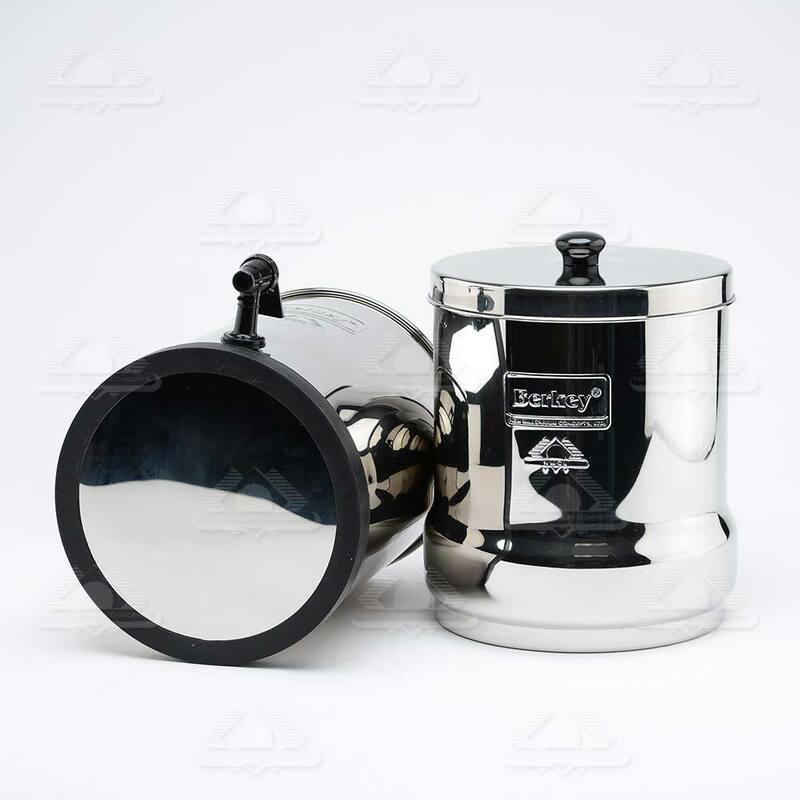 Imagine the relief and piece of mind of having a purification method that allowed you to utilize water sources redily available to you like, lakes, ponds, streams, rivers and swimming pools all without having the need for water pressure or electricity. Not available for delivery to CALIFORNIA or IOWA.